National Secretary-Treasurer Stanley Boyd, also elected by acclamation, told the delegates, “thank you for the trust and support you have extended to me I am truly humbled and honored by your action.” All of the TCU Vice-Presidents were returned to office by acclamation. 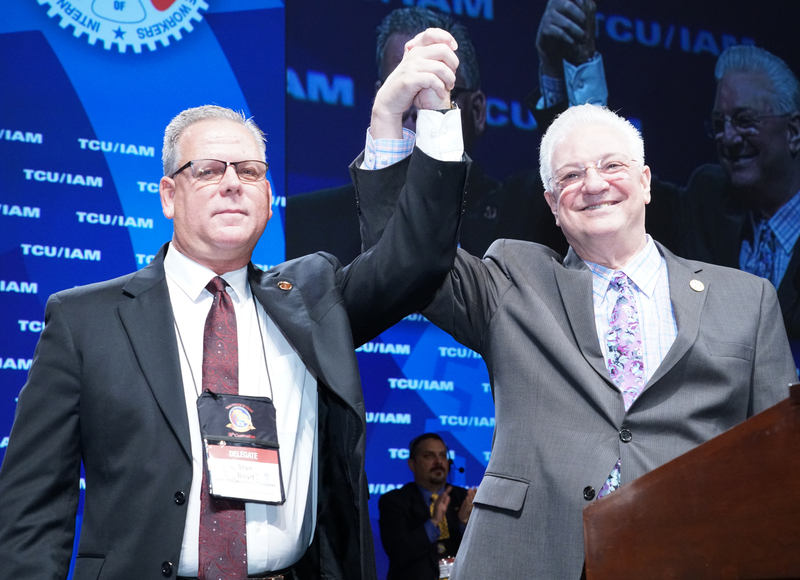 IAM Vice-Presidents Sito Pantoja of Transportation and Gary Allen of the Western Territory addressed the delegates. 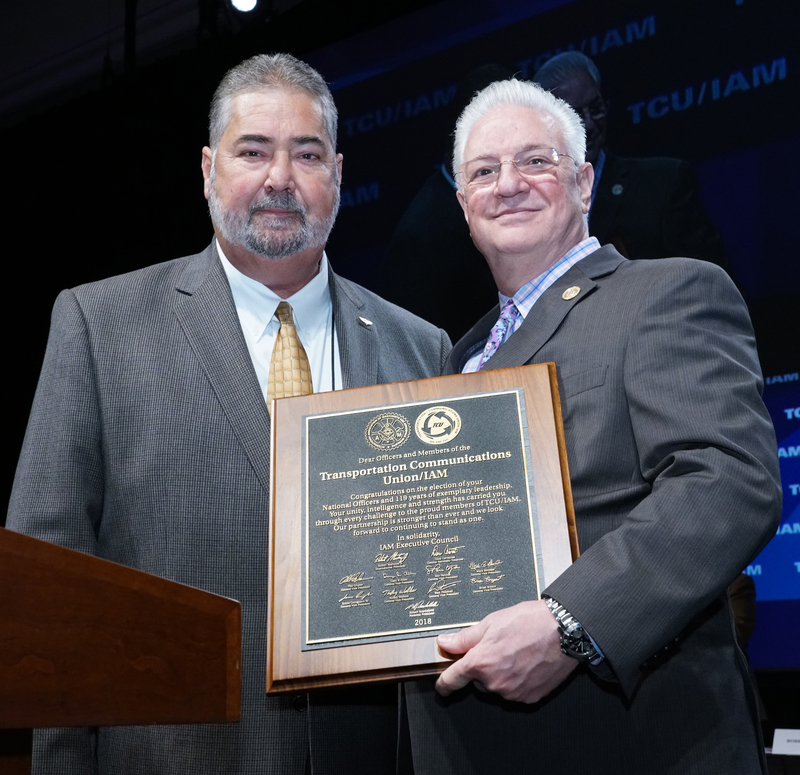 In a surprising moment IAM President Martinez returned to the stage and presented President Scardelletti with a plaque to commemorate the National Officer elections and the TCU 119th Anniversary. TCU Vice-President Arthur Maratea presented the TCU/IAM Leadership Development Program to the delegates. Chris Wagoner from the William W. Winpisinger center spoke about the great opportunity our delegates have when attending classes at the center. TCU Local Chairpersons Lawanda Davis and David Barnard gave their own experiences about attending Leadership Development to the Delegates.